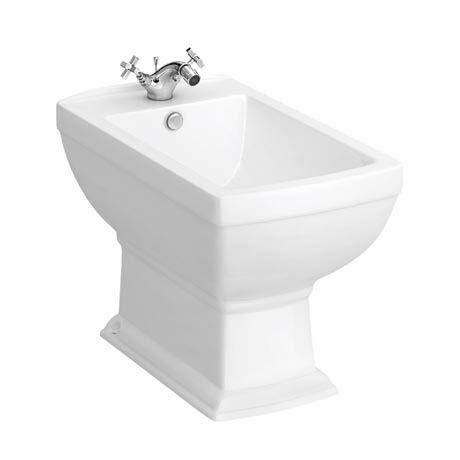 The glorious Rydal Traditional floor standing bidet, Art Deco inspired design with a modern twist, features classic styling which blends beautifully with any style of bathroom. Characterised by it's square design and elegant soft edges. Manufactured using high-grade vitreous china ensuring a quality finish and long lasting durability. Bring a touch of elegance and style into your bathroom. Comes with a 5 year guarantee against manufacturing defects. Supplied with floor fixing kit.